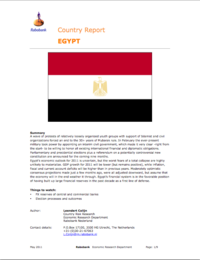 A summary of national facts, social and governance indicators, foreign trade and the economy in Egypt. Egypt’s economic outlook for 2011 is uncertain, but the worst fears of a total collapse are highly unlikely to materialize. GDP growth for 2011 will be lower (but remains positive), while inflation, fiscal and current account deficits will be higher than in previous years. Moderately optimistic consensus projections made just a few months ago, were all adjusted downward, but assume that the economy will in the end weather it through. 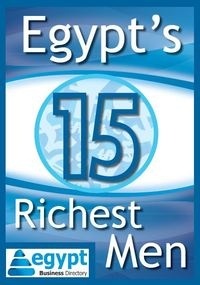 Egypt’s financial system is in the favorable position of having built up large financial reserves in the past decade as a first line of defense. Read more in this report published by Rabobank Group in the Netherlands. All whitepapers are available to you and free of charge. This whitepapers is provided by Rabobank Group.